Just a reminder that Marion and Sandy will be hosting Friday Kanikapila at their home (aka UFOHQ Annex), this and next Friday. You folks know the routine, BYPotLuck, BYOGear and especially BYAloha. If you need an address text me at 415-300-7804. There are no Saturday Kanikapilas until we return. Mahalo to Marion and Sandy for keeping the Kanikapila Fires burning. Btw, don’t forget about the Sharktoberfest event on the 29th. It’ll be at the same time (11am to ???) and location as before, I’ll post details at a later blog. Sandy will be running the event in my absence, please lend him a hand and support this important and meaningful event. 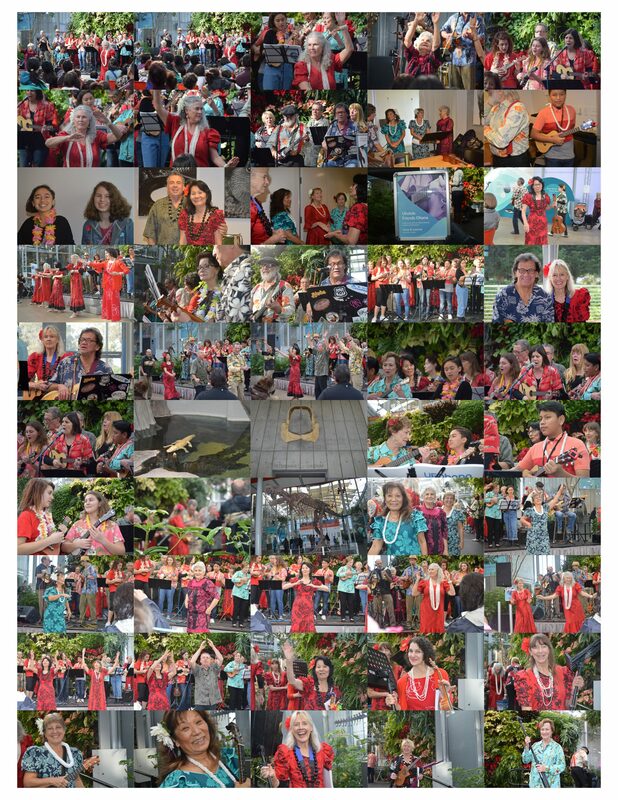 Mahalo Nui Loa to the Maunaleo Foundation for hosting us at the Napa Valley Aloha Festival and to all the UFOhana members for their support and for sharing your Aloha with the event goers. On the home front, Mom and Dad are down with the flu, but are in good spirits, we’re trying hard not to bring it home with us so we’re doing air hugs and kisses for now. Thankfully our live-in RN, my sister, has been giving them a lot of TLC. Hope to have some photos uploaded soon of last Friday and Saturday events. Maybe some Hawai’i away team photos? kiss of soft trade winds. As you can see I’m a little tanned though I’ve lost a little weight, hair, my eyesight and switched to an Apple . . . naaaah! I’d never switch to an Apple! It is with so much love and gratitude that I give you for again sharing the island and ocean spirit at Sharktoberfest. I cannot truly express what you share to the other side of the ocean- so many people whose lives and hearts you have touched and helped our ocean mission.